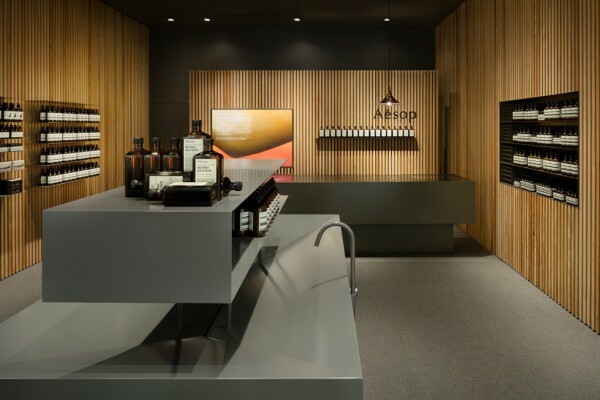 We performed the interior design for a store by Aesop, an Australian skin care brand, located in the newly built shopping mall PARCO2 in Sendai. The site is 6m wide by 7.8m deep with a height of 3.4m. 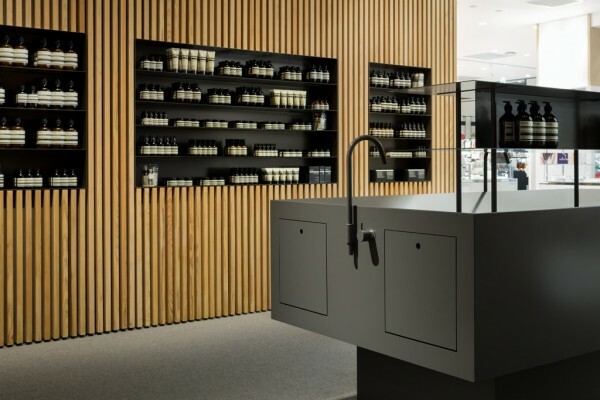 A fully opened storefront, the product shelves organized on the left and the right side of the store, the mid-height wall in the back that separates the storage from the retail space and the central sink, all contribute to ease of circulation. 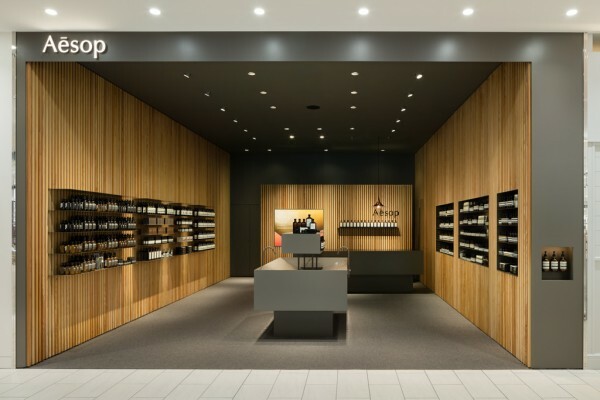 We wanted the walls on both sides to characterize the space in a simple way, and thus used 30mm X 40mm Japanese cedar slats to provide a deep texture with shadows. 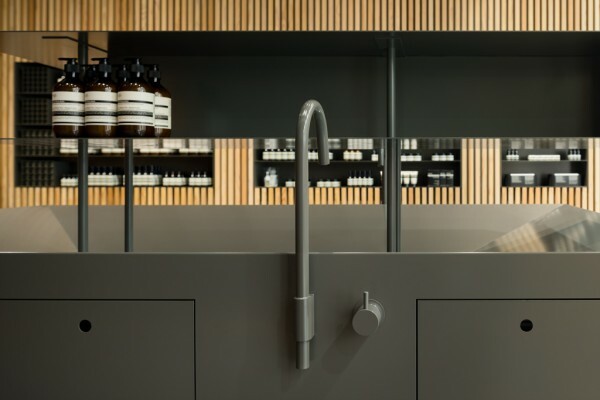 Contrary to the rafters usually seen in buildings, we chose to present the cross-grain side of the timber as the front surface, which has a more expressive texture. 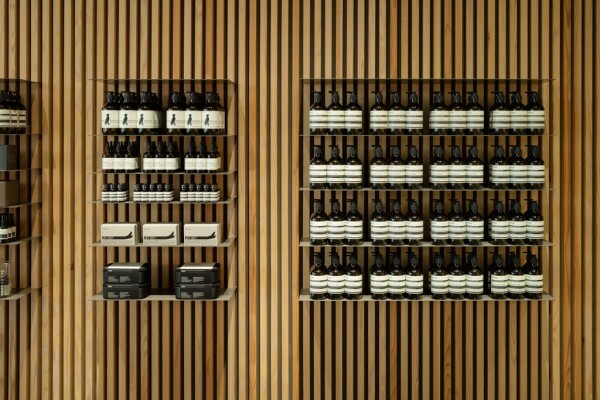 Moreover, the product shelves are designed differently on each side. 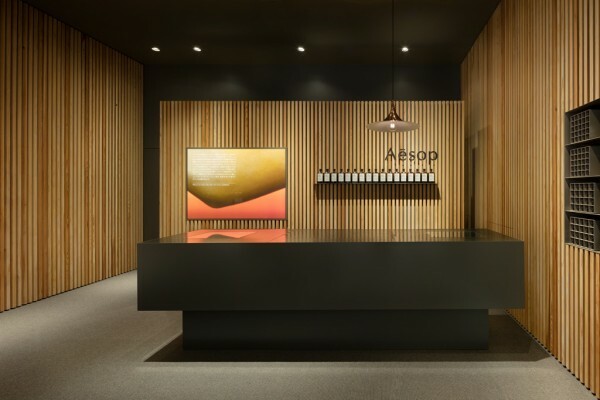 One side is concave while the other one is convex; this provides subtle asymmetric diversity to the space. 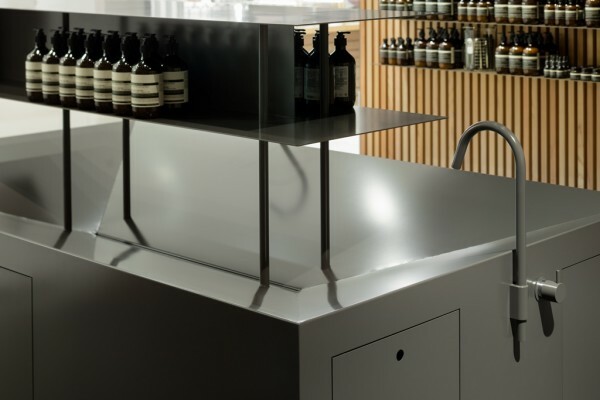 The big cubic sink made of steel allows for private consultations between customer and staff to take place in a single shared space. 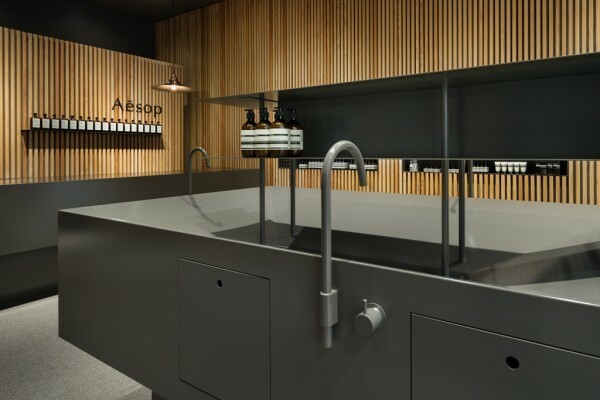 For the company's first retail store in the Tohoku area, we sought to represent Aesop's brand image in a genuine way and create a space that invites the customer with its warm atmosphere.